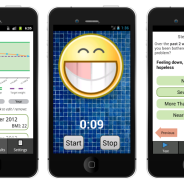 As JAPPS Medical we have published three apps in the Android Play Market: Track my weight, Toothbrush timer, and Depression Test. To date, these apps have been downloaded over 60,000 times altogether. Challenges: local databases, reminders, fragments, graphs, audio, settings, tabs. Techniques used: Android native development.